THE Zimbabwe Anti-Corruption Commission has opened an investigation into how Lands, Agriculture, Water and Climate Permanent Secretary Mr Ringson Chitsiko handled a $250 million contract with an investor. Zacc head of investigations Commissioner Goodson Nguni told The Sunday Mail yesterday that Mr Chitsiko may have approved a $250 million contract with Lexi Flower without following due processes. 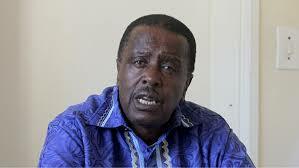 “We are finalising an investigation into how Mr Chitsiko signed a huge contract without authority. We are keen to interview the permanent secretary in relation to the flower project deal,” said Mr Nguni. Mr Chitsiko was not available for comment yesterday. Meanwhile, Zacc has launched a fresh probe into Cotton Company of Zimbabwe MD Mr Pius Manamike and head of corporate services Mr Benedict Mugura over a $10,3 million deal. The Sunday Mail understands that the Cottco bosses were summoned to Zacc offices to answer questions in relation to the deal. Mr Nguni said on October 10, 2018, Cottco engaged an Indian company to supply cotton packs without following proper procurement procedures. Allegations are that Cottco did not source three quotations before placing the order as provided by procurement regulations. On October 12, 2018, the Cottco bosses allegedly sourced two more quotations from other Indian companies, one of which is suspected to be linked to the company that had already won the $10,3 million order. Cottco is yet to pay for the cotton packs. “By next week (this week), we will be done with the Cottco investigation. Apart from the US$10,3 million cotton pack deal, we are also probing the links between Mr Manamike and a company called Cotton Pro, which allegedly defrauded Cottco of $2,5 million,” said Mr Nguni. Mr Manamike has a pending criminal case after entering an arrangement with Cotton Pro to buy 8 00 tonnes of lint on a 90-day credit facility against Statutory Instrument 150/2008 of the Exchange Control Cotton Order.